Home/Cancer, Clinical Trial, Early Detection/Why isn’t cancer prevention a higher priority? Why isn’t cancer prevention a higher priority? Why isn't cancer prevention a higher priority? Cancer is the second leading cause of death worldwide. In a recent issue of the journal Science (Sept 28 2018, Vol 361 Issue 6409 page 1317, "Cancer Prevention: Molecular and epidemiologic consensus" Song M and Tomasetti C et al. ref 1) researchers from Harvard and Johns Hopkins wrote the following: "...substantial epidemiological data show that at least 35% of all cancer deaths in the world could be avoided by modifying known risk factors, that is, through primary prevention (ref 2). "Primary prevention" refers to specific environmental factors that cause driver mutations: lung cancers, melanomas, cervical cancers; 85%-100% of these cancers could be prevented by smoking cessation, avoidance of UV-radiation, and HPV vaccination. With such a clear link between environment and prevention, public health education is paramount. Other cancer types (namely pancreatic, breast and prostate) less than half of the incident cases can be attributed to environmental factors, there are still secondary prevention measures (namely detection and intervention early in the course of disease). Indeed, this reference (ref 3) unequivocally states "between 40% and 45% of cancers are associated with preventable risk factors" and specific molecular mechanisms that induce or promote cancer in human physiology are known. 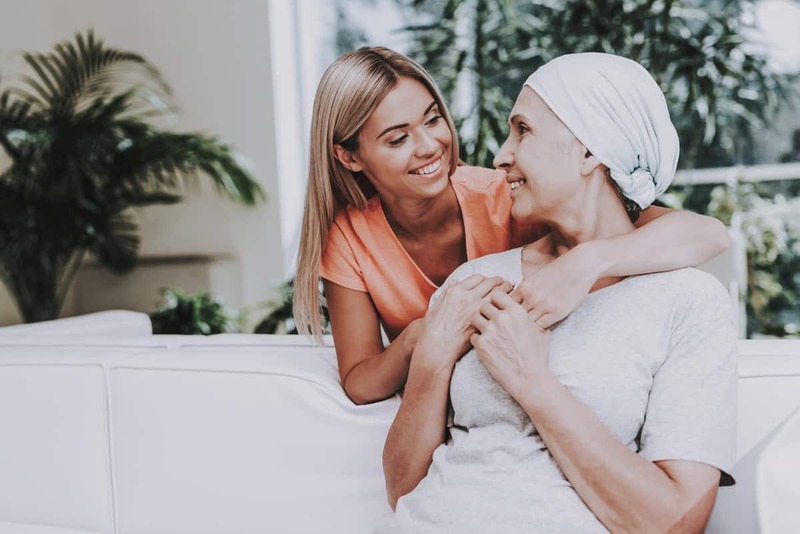 It has been known for some time a link to heredity and cancer; the discovery of BRCA1 and BRCA2 is directly responsible for approximately 5% of breast cancer cases in the United States (up to 25% of inherited breast cancer cases). Another example of an inherited form of cancer is Lynch Syndrome, known also as hereditary nonpolyposis colorectal cancer. Both the function of the BRCA and Lynch syndrome genes are for DNA repair to maintain genomic stability. Cancer can thus be described accurately as a 'disease of the genome'. On top of underlying heredity is the environment (including lifestyle, diet, and other behavioral factors mentioned above including smoking) and random events as a function of cell division, resulting in DNA mutations that accumulate over time. The random errors in replication combined with environmental damage to DNA overlay the underlying hereditary risk in tumorigenesis, illustrated below. While there is nothing that can be done about random errors in cell division, nor heredity as one has no control over choice of their ancestors, the environment plays a role at every step. Therefore, public health education for behavior modification is paramount. A great amount of attention, research and funding is allocated to late-stage disease. The Harvard and Hopkins researchers cite the following three reasons: One is societies tend to be reactive to problems rather than proactive in prevention. A second is that treatment research and regulatory approval may require hundreds of patients for a clinical trial, while prevention research (and regulatory approval) need tens of thousands. And the third is the dramatic nature of effective treatment of late-stage disease: "many patients who are effectively treated donate large sums to cancer centers; there are few thanks for preventing cancers". In addition, a fourth reason given is the scarce financial incentives for preventing cancers via avoidance of risk factors. Could it be possible to reward individuals (even financially as it would lower costs to society overall) for not smoking? Or if we paid people to get a vaccination for HPV? The fifth reason is an important one: "the financial incentives to develop new therapeutics are far more lucrative than those for new diagnostic tests for early detection and prevention". This is a harsh economic reality: companies with innovative, life-saving drugs have a financial incentive to maximize sales and profits. And it is best if those drugs must be taken by patients who live a long time with these medications, and where the medications are required to stay alive or otherwise required for well-being. It isn't in the economic best-interest of a pharmaceutical company for a one-time treatment or cure; and the problem to solve must have a large enough market, and large enough impact, to create the next blockbuster (defined as $1 Billion in sales). The article concludes thus: "A much greater emphasis on cancer prevention research is needed to avoid, detect and treat early cancers and pre-malignant lesions. With such further research, we envision that cancer death rates could be reduced by 70% around the world, even without the development of new therapies." This kind of emphasis is needed - to detect cancer in its earliest phases so effective, existing, and safe current treatments can be given when it can make a huge difference in long-term survival. 1) Song M and Tomasetti C et al. Cancer prevention: Molecular and epidemiologic consensus. Science. 2018 doi: 10.1126/science.aau3830. PubMed PMID: 30262488. 2) Danaei G and Ezzati M et al. Comparative Risk Assessment collaborating group (Cancers). Causes of cancer in the world: comparative risk assessment of nine behavioural and environmental risk factors. Lancet. 2005. PubMed PMID: 16298215. 4) Ma J and Jemal A et al. Temporal Trends in Mortality in the United States, 1969-2013. JAMA. 2015 doi: 10.1001/jama.2015.12319. Erratum in: JAMA. 2015 Dec 8;314(22):2415. PubMed PMID: 26505597.